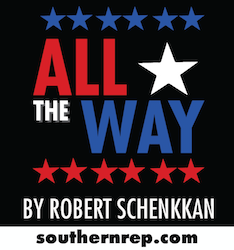 The regional premiere of Tony Award-winning play ALL THE WAY by Robert Schenkkan is running now until June 3 at Loyola University Theatre with special events every day this weekend. 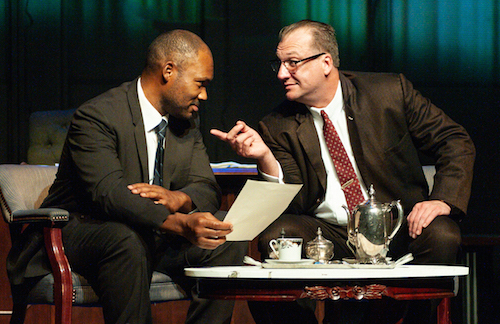 Presented by Southern Rep Theatre, the political drama follows Lyndon B. Johnson, Martin Luther King, Jr., and a huge cast of historical figures through the passage of the Civil Rights Act of 1964 and Johnson’s re-election campaign. 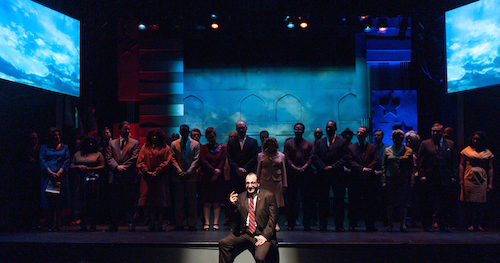 ALL THE WAY received national acclaim in its 2014 run on Broadway, where it won the Tony Award for Best Play. Star Bryan Cranston—also a Tony Award winner—then reprised his role as LBJ in a 2016 HBO film adapted by playwright Robert Schenkkan. 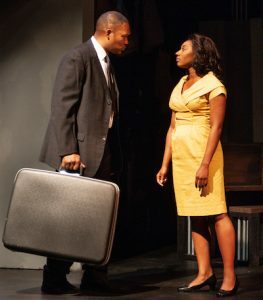 Southern Rep’s production features Jason Kirkpatrick and Dominique McClellan in the pivotal roles of LBJ and MLK Jr. Director Aimée Hayes oversees a cast of 30 performers to portray the dozens of speaking roles that bring this historical drama to life. Regular tickets are $40, subject to increase. Group rates available by calling the box office. Priority Patron (Season Subscriber) memberships provide discounted rates. Southern Rep, in residence at the Loyola University Department of Theatre Arts and Dance, worked with community partners including Dancing Grounds, Ashé Cultural Arts Center, and Kingsley House to run acting workshops and auditions to bring community members into this enormous production. Community partners continue to be involved through free engagement activities surrounding the production. For more about the production and full special event schedule, click here.